Most of you know that I have a true passion for presenting in front of people. The first play I was in at age 12, I was picked for the lead. I continued with drama for the rest of my high school career and even did a full length independent film in Omaha. When I was in sales, I felt I was presenting at every appointment. Now, I am living my dream of presenting and helping people make a difference in their business. 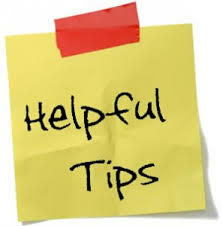 If you write out your full presentation and memorize it word by word, then it will be missing the personal touch. Some of the best stories I share in training classes are not planned at all. They come from questions asked or a thought that I had during the training. You can memorize topics and what order you want to share them in, and I use power point to help me stay “on task” and you can plan stories in your presentation, but let it flow versus following a script. When I make a mistake, and trust me I make plenty, I remember back to my days on the stage. No one in the audience had the script in front of them, so just keep moving forward and tie it all together the best you can. The only time your audience knows you made a mistake is when you tell them. Eye contact is key when connecting to your audience, and for some of us, this is easier said than done. There is an old saying to imagine everyone in their underwear if you are nervous. Well, I am not good enough to picture everyone in their undies and I have been struck with the giggles before, but one trick is to look at people’s ears. This way, you are looking at them and connecting, but it helps get rid of the awkward feeling of staring someone right in the eye and relieve that nervous feeling. Moving around helps with audible and visual learners. When you move around, the audible learners have to keep listening in different areas in the room, helping them focus on you. Visual learners need to be looking around, and if you give them a moving target, then you can keep them engaged. No one wants to have the presenter stand in one spot and have no life when presenting. For those of you that know me well, I bet you can hear my voice going up and down, and expressing excitement in what I have to say as you read this. I am one of the lucky ones that has no control over Plainly put, I am loud and when I get excited I get louder! But when you are presenting here is a basic rule to follow with changing your voice: if it is general knowledge you want to pass on, say it in a normal or projecting tone. This way everyone can hear it with ease. When it is a point you want to make or you have some interaction with a person in the crowd, bring your tone to a more quiet level. This will make the audience lean forward, which mentally helps them understand and focus better. It will make the person you are interacting with feel more personal with you. In their mind you have been talking loud and to everyone, when you bring it in on a more quiet level, you are now speaking with them and making it a more personal interaction. this, at least most of the time. I hope this blog helps you when storytelling, giving a presentation at work or to clients, and of course when you present at BNI. If you ever want to practice a presentation, BNI related or not, I am always happy to work with you and help any way I can. I close with this quote “Get comfortable with being uncomfortable.” I love this quote because public speaking is listed as America’s number one fear, over death and loneliness. So no matter how good you are at it, try to improve on this skill and make your presentations enjoyable and engaging.